Lurena Brackett, a poor young woman who had been blinded in an accident as a teenager, was on her way in the summer of 1837 to a Massachusetts school for the blind, where she would take up residence as a teacher. While on the way, Brackett stopped in Providence, Rhode Island where, as Emily Ogden tells us in Credulity, she was magnetized by a mesmerist. In her magnetized state, the blind Brackett regained her sight. As she was repeatedly magnetized, she gained additional power of clairvoyance. In the midst of this scene of mesmeric wonder, the skeptical journalist and publisher William Leete Stone arrived. But his plans to debunk the mesmerist and his magnetized subject went awry. Much to the shock of his wide readership, he published the story of the “visionary trip” that he took with Brackett to his home city, New York. He found her entirely credible. Stone’s readers were not convinced by his newfound change of heart. They understood his conversion from debunker to dupe as a scandal and also a cautionary tale about the fragility of reason in the face of irrational and the primitive. Twenty-first century readers, schooled in theories wherein signs of “radical enchantment” stand in for “our hopes” and wherein scholars can imagine themselves “an avant garde aligned with marginalized subjects,” might see another moral. Namely, one where Brackett’s momentary independence turns the tables. The dependent gains freedom from the soft powers of modernity. The blind can see. But Ogden wishes to tell neither of these stories. 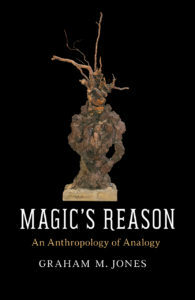 Her narrative instead veers sharply—and takes an approach that, along with that of the three other new books featured in this forum, represents a new turn in scholarly attention to the metaphysical, the psychic, the magic(al), the uncanny. These projects, so frequently the focus of modern scholarship, are turned to different ends, opened to different questions, rethought with different kinds of narratives, grammars, and poetics. This book forum on “Modernity’s resonances: New inquiries into the secular” asks how these variations might work and what their limits might be, what new and old frames of theoretical reference take shape in the process, what ethical and poetic challenges they might present, what social and communal concerns they expose anew. The books in this forum are all distinct in topic and in discipline. 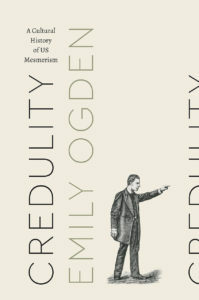 Ogden’s Credulity is a cultural and literary history of mesmerism whereas Graham Jones’s Magic’s Reason explores the entanglements of nineteenth and twentieth century entertainment magic and anthropology to develop an “anthropology of analogy.” Pamela Klassen’s The Story of Radio Mind traces the material and spiritual mediations of Frederick Du Vernet, an Anglican missionary who journeyed in the Canadian Northwest. 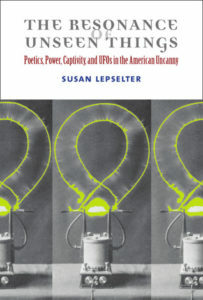 And Susan Lepselter’s The Resonance of Unseen Things orients readers to the stories and experiences of late twentieth century alien abductions and encounters that are wrapped into the enduring force of the American uncanny. What, then, comes next? Respondents to the books were asked—and gamely agreed— to reflect on how these works “challenge and correct the discursive and philosophical modes of investigation into secularity’s histories and manners of operation.” Their responses and the rejoinders by the authors that follow expose different levels of comfortability with such a project. For, as Jones’s first essay for this forum clearly articulates, this is not a straightforward task, nor are its outcomes. While Mei Zhan observes that Magic’s Reason not only shows analogy as the site where “pitfalls and challenges lie but also where new, complex possibilities of worldly imagination emerge and unfold,” Jones himself reflects that even the most “care-ful” storytelling might not be enough to disrupt. “How do you analyze an oppressive analogy without, in an insidious way, reinscribing it as a plausible—if not credible—comparison?” he asks. And even if it is possible to rewrite a narrative, he continues, how might we further grapple with flourishing of media where modern binaries continue to circulate? 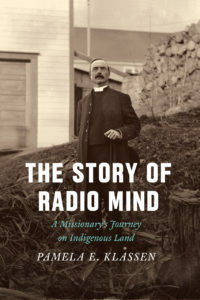 Echoing a theme that is answered with prowess in Klassen’s chapters on the mediating forms of modernity that take root and are transformed on the missionary frontier, Jones asks whether the photographs he uses in his book might remain “so ideologically charged with colonial contrasts that . . . they would buoy forth ideas that my textual critique would not be able to constrain.” The entanglements run along many routes. Yet other threads within these essays pull a longer history of modernity’s resonances into the conversation. In summoning Max Weber and Walter Benjamin, Carl Jung and Sigmund Freud, and other melancholy avatars. Herein, we find another resonant history of theorizing and critique, one (to paraphrase Donovan Schaefer’s contribution to this forum) made possible in a site of suspension, unable either to feel nostalgia for enchantment or to celebrate disenchantment. It is in such a space of suspension that this forum’s inquiries likewise develop. To which I say, stay tuned. More than a decade ago I was seated at a dinner table with a half dozen conference participants; we had been assigned places and our table included an avuncular and distinguished scholar whose cosmopolitan interest in everyone’s conversation made us all feel quite brilliant. At dessert the discussion turned to ghosts. But it soon became clear that we were going to talk about ghosts from only one side of the line: these were literary ghosts, metaphorical ghosts, secular hauntings. We were a sophisticated group, the kind that could be attentive (even after a few glasses of wine) to the minefield-laden language games around belief, the uncanny, “the secular.” So we steered clear. Everyone knew better than to admit if they believed in ghosts. And there was certainly a lot to discuss without taking up the question of belief. Nonetheless, I began to feel irritated. I spoke up to say that where I grew up, people saw ghosts, and in fact I had myself seen a ghost. The kind glance of the distinguished scholar quickly and clearly turned to one of pity, and I sat silent. What more was there to say? I had become an anthropological subject (and apparently not a very interesting one). By uttering testimony and, further, by gesturing to my childhood days, I had revealed that subject as one uncomprehending of what was really being discussed among grownup academics sitting around a table at the end of a conference on secularism. I’ve thought a lot about that evening, imagining what I could have said instead to make myself the hero of this story. But often I end up merely mystified by my own naivete. How could I have thought that a simple claim to experience would pry open a different kind of discussion? I have also wondered why I lied. It was true that I grew up in a place where seeing ghosts was not particularly odd (if not particularly common either) but I could not truthfully claim such an experience for myself. Why did I put myself on the line? What was I yearning for, and how did I think that my story (even a false story) could intervene? It’s now more than ten years since that evening—one that I hope is unremembered by the people who were at that table, many of whom are regular contributors to TIF. I am grateful for the participants in this forum who offer a range of answers to my questions. They have helped me better understand why I wanted to bring the resonant ectoplasm of my childhood landscape into that philosophical discussion, and also helped me give form to my hopes for disruption. They have also helped me understand why my utterance did not work its magic: how the projects of bringing modernity’s resonances into the (academic) world demand a different kind of effort, work, voice, and expression. And, that we need richer stories, ones full of surplus, ones that will force us to grapple in a full throated way with the ethics of living in our modern worlds, and with the ghosts that make them real.